The heavily promoted flu shot still comes with mercury. Despite the controversy over vaccines for children, public health officials are stepping up the volume to urge adults to get vaccinated. The American Medical Association is working with physicians who often don’t check immunization status to ensure they recommend vaccinations to their adult patients. “Low immunization rates represent a national public health crisis, and we need to do a better job of educating practitioners and patients about the need for vaccines and covering vaccination as a preventive service,” says William Schaffner, chairman of the preventive medicine department at Vanderbilt University and president-elect of the nonprofit National Foundation for Infectious Diseases. According to the Centers for Disease Control and Prevention, only 2.1 percent of adults aged 18 to 64 are immunized against tetanus, diphtheria and whooping cough. Only about 10 percent of women aged 18 to 26 have received the new vaccine for human papillomavirus (HPV) — the disease which is linked to cervical cancer. Immunization rates for children are at an all-time high and are usually covered by insurance. But for adults under 65, insurance often doesn’t cover all vaccines. 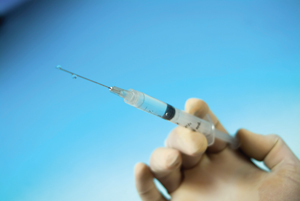 The new shingles vaccine, for instance, is relatively costly at about $220 a dose. Childhood vaccinations have come under fire from parents and some physicians for their suspected role in the autism epidemic. Although mercury has been removed from some vaccines, other neurotoxic agents are used as well, including aluminum, MSG, formaldehyde and phenol. The CDC has acknowledged fainting problems after Gardasil vaccination and recommended that doctors keep vaccinated patients in the office for 15 minutes following the injection.